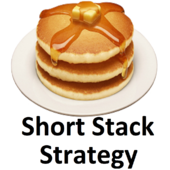 No-Limit Hold'em Short Stacking Strategy (SSS) Calculator - The Short Stack Strategy (SSS) is a No-Limit Hold’em cash game strategy based on mathematics and exploiting big stack cash game players against each other. It allows players with very little experience to have an edge against more experienced players. It is one of the most popular methods to build a bankroll while learning to play No-Limit Hold’em. 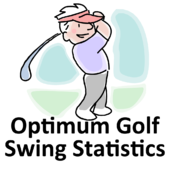 Optimum Golf Swing Statistics (OGSS)...Coming Soon - Optimum Golf Swing Statistics (OGSS) is designed for use with a high-tech swing trainer, such as a Swingbyte, SwingSmart, GolfSense SwingTIP, PocketPro, etc. These swing trainers are great for learning how you swing the golf club. However, it is not always clear how you SHOULD be swinging the golf club. OGGS looks to fill that void. OGGS is based upon swing statistics captured over thousands of swings from hundreds of professional golfers during tournament play. By focusing your practice on achieving the correct swing statistics based upon the best players in the world, your game will improve dramatically.